Italian Bar from the 1940`s/50`s. Mirrored glass to top, front and sides. 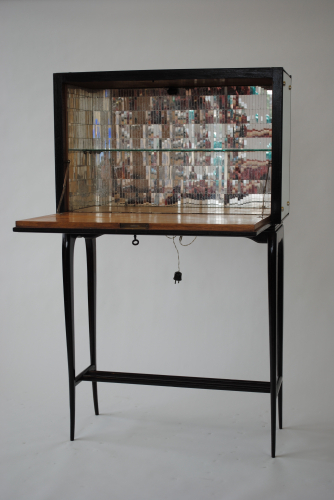 Original key opens to reveal mirrored interior (hundreds of silvered pieces of glass) and a single glass shelf. Graceful legs and frame, which have been stained dark (original stain and typical of the period).